Ramadan is a period of abundant blessings from Allah . As we strive to get the maximum share of those blessings, do we realize we need to make it easy for others to gain their share as well? A large number of our brethren are engaged in direct customer-interaction jobs such as counter sales, support staff, transport and delivery, etc.What we need to consider is making things easier for them — especially in Ramadan. The Ramadan blessings we wish to earn for ourselves need to be wished for our fellow Muslim brothers and sisters as well. The tremendous economic activity during Ramadan results in huge profits for many businesses. Almost every type of trade flourishes during Ramadan; from food to clothing, jewelry to renovations, to gifts and greetings — just to name a few. The volume of the business is so much that for many traders, the revenue generated during Ramadan is higher than their total revenue for the rest of the year. The business community — whether a big corporate or a small-time trader — all eagerly wait for this period of the year. For those in the academia or office setting, things are a little easier as they have fixed hours of day-time work. Also, in many Muslim environments, there are reduced working hours in Ramadan. 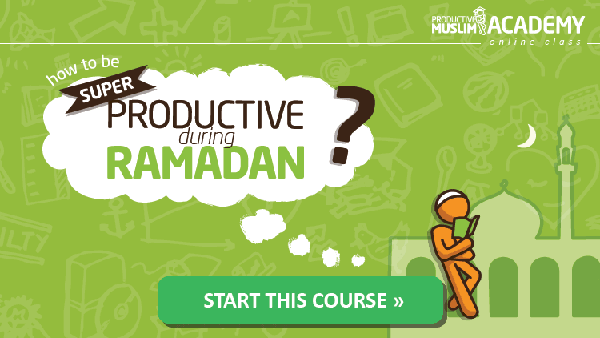 If you are working on a project, you can plan accordingly to wind up the project before Ramadan. But for those who slog it out at the supermarkets, grocery stores or a garment-stitching unit, it’s tough. On one hand, they have their best time to make money. On the other hand, they have the spiritual blessings to concentrate on. Balancing between the two is quite a big task. Now, if you own a business what will you do? You, being the owner, can reach your workplace late in the day and return early as you wish. You can spend a good amount of time praying and reaping the spiritual benefits. This becomes convenient for you because your workers are the front-runners of your business; they keep your business running. While you collect all the spiritual benefits of Ramadan and reap the profits of your workers’ hard work, they might end up with just a monetary benefit since it was very tough on them to toil hard in their work, fast and pray on time. You do not need to take any extraordinary measures to relieve your workers’ burden and trade well with customers. Below are some practical tips that may help, In sha Allah. As a businessperson, you know from your yearly experience that demand is higher at this time of the year. So, you can plan well in advance. Hire some part-time workers a month or so before Ramadan, so they will be trained and can handle work without assistance in Ramadan. As the Ramadan pressure increases, you can divide and rotate work among workers, so it there is time for them pray, work and relax. 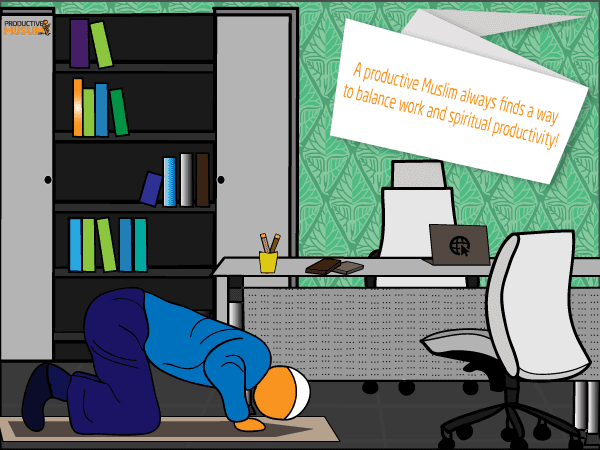 If your place of business is located far from a masjid (mosque), to save workers’ time and show consideration towards their spiritual needs, create a space in your work place for salah. You can use the backyard, the storage area or any other suitable place for this purpose. Ideally, you should have a board with a “Closed for Prayer” sign displayed at the time of prayers. But, if there is a rush of customers, then you can let your workers pray in two separate jamaa’s (groups/congregations), for example, one after the other so they do not miss the congregational prayers and you do not lose your customers either. Purity and cleanliness ahead of prayer are a must. They contribute towards helping the worshiper concentrate in prayer and help him/her appear adequate before The One he/she is praying to. To help your workers, make the necessary arrangements for them to perform ablutions. They need to have water and ablution space that would facilitate the ritual for them and help them return to work after prayer, all refreshed. If there happens to be more Muslim workers / Muslim businesses nearby, you can make an arrangement with them and decide on common needs. This could be creating a common prayer area, ablution area or any other facilities needed by everyone’s workers. Make sure to pay your workers their wages on time well before Eid,so they can join the Eid festivities like everyone else. The workers too have families and children who count on this money to pay for their Eid necessities. A delayed and disputed settlement will create ill will and likely turn the Eid sour rather than sweet. In Ramadan, unfortunately, we see a surge in prices of essential commodities. As an Ummah, (community), there should be an effort to bring the prices down to keep commodities within everyone’s reach. Be moderate in deciding profit margins. Charging exorbitant profits on commodities by lying, price manipulation or other tricks makes the extra profit earned unlawful. And unlawful earnings invite Allah’s ire. Measure correctly while selling. Under-measuring while you sell is cheating and has been prohibited and cursed by Allah . The consumer trend of Ramadan shopping increases trade pressure. If we, as consumers, try to focus on the essence of Ramadan: i.e. more worship, it would reduce this pressure considerably. Prepare a list of what you need in Ramadan in advance and try to get those before Ramadan. Then, you only have to buy fresh produce as and when you need them, as you have the other items stocked up. This way, you will save a good amount of time. Focus on Ramadan, not on Eid. You have every right to prepare for Eid, but this can also be done ahead of Ramadan. This way, you will not end up shopping most of the time for Eid during Ramadan. If all your necessities are ready before time, you can dedicate more time for increasing your spiritual productivity with more worship. The most blessed moments of Ramadan are its nights. This is quite evident from the fact that additional taraweeh prayers are allotted at night time, rather than any other part of the day. To gain most from those blessed moments, let your feet be on the prayer mat often rather than increasing the footfall in the malls, stores and streets. Try to manage and finish your purchases during the day time to keep the night exclusively for worship. Working men and women who cannot find time during the day can get their shopping done during the weekends. The trend of ‘Ramadan Night Markets’ rises every year. If we try to limit our shopping to during the day and keep the night exclusively for praying, that would be helpful in reversing the Ramada night outs trends, In sha Allah. This will also give the traders and their workers a chance to earn the Ramadan nights’ spiritual blessings. Small individual efforts can lead to collective results and help us get sufficient time to strive and earn the Ramadan blessings, In sha Allah. Ramadan 1435 begins in the last week of June 2014, In sha Allah. Are we getting ready?